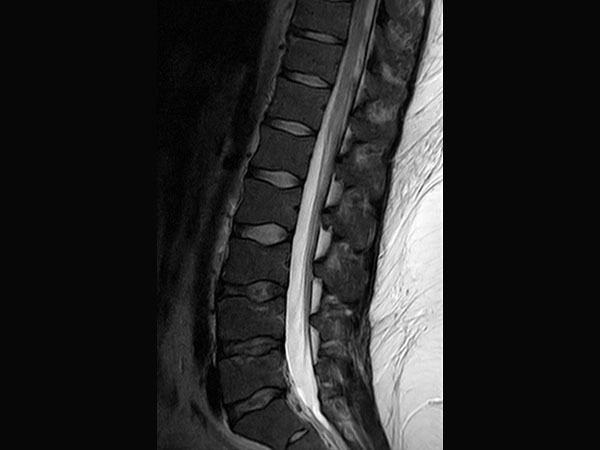 This is a lumbar spine examination of a young obese patient (170 kg) with right sciatic pain. The main difference in the protocol for this obese patient is that the voxel size is around 15-20% larger than in our standard protocol. This patient's weight will vastly increase the minimum TR requirements under the SAR modelling of any 3T scanner. 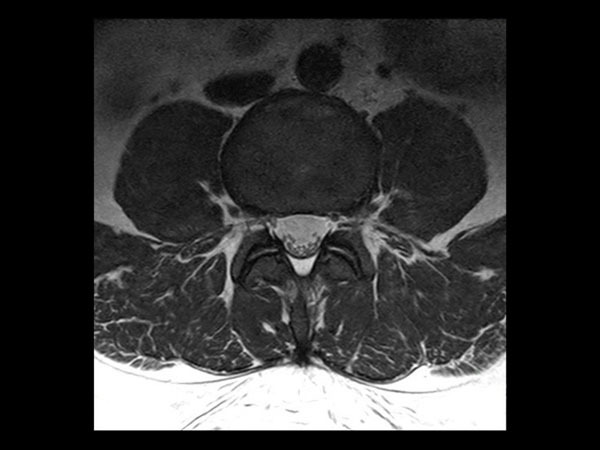 The larger voxel helps both in reducing this increase in scan time and reduces SAR. 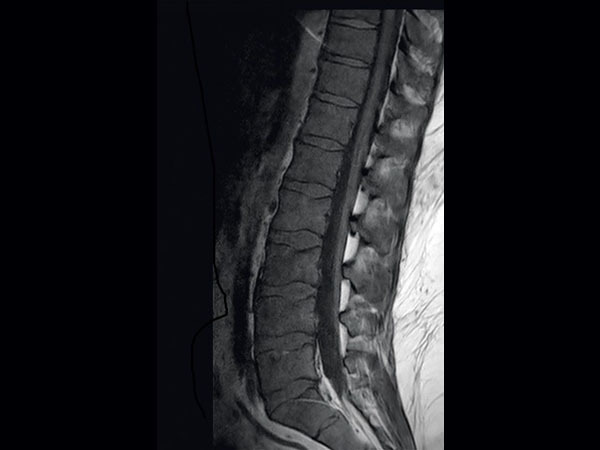 The MultiTransmit technology evens out the flip angle and SAR across these large fields of view, even when filled with such a large patient, and the dStream coils and SmartSelect technology allows maximum penetration to allow for excellent SNR. The images demonstrate the high SNR provided by dStream and achieved with SmartSelect, which uses a quantitative method to determine and activate all coils that increase SNR. 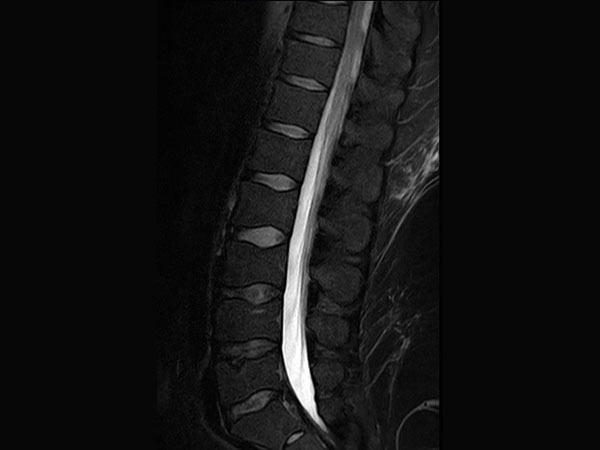 Imaging penetrated 150 mm of fat to reach this patient’s lower L-spine.